What if you could cut out the noise in your life? No more crying babies on planes. No city sirens. No rude people on cellphones in the subway. Silicon Valley startup Doppler Labs has created earbuds that will let you filter out some of the more migraine-inducing sounds in your life. Skeptical? So was I. There are a lot of noise-cancelling headphones and apps out there. As someone who sleeps with earplugs, I ought to know. But Here buds feel different the minute you put them on. Unlike other noise-blocking devices, Here buds don't reduce all noise, but fine-tune the many different noises in our environment so we only hear what we want to. Here buds have two distinct offerings: Tune Out, which blocks the noise around you, and Tune In, which changes the way you hear incoming sound. First test -- the busy newsroom. There's a reason news people are known as multitaskers. There are always a ton of TVs blaring, phone conversations, meetings and interviews happening all around. Every day is a struggle to tune out the noise and focus on the story you are working on. The first setting I tried was Office Normal. Right away, my environment changed. I could still hear voices next to me, but I was surprised by how much it cut out the TV noise, air conditioning and chatter further down the row. Other choices for Tune Out, which is still in beta testing, included City, Crowd, Restaurant and Subway. It was all music to my stressed out ears. In fact, I am wearing them as I write this. Noah Kraft, the CEO and cofounder, says hearing has been neglected. "We forget that hearing is a really powerful sense. ... We are bombarded by noise and we don't have much control over it," he said. "If you think about the other senses, [for vision] you have eyelids, you can wear sunglasses ... if it is too cold you can put on a sweater. If it is too bland you can add spice. Your ears are on all the time." The Tune Out sold me, but Doppler isn't just about blocking out sounds -- it wants to augment the hearing experience. That's where Tune In, which is the main tool of the first generation of Here buds, comes in. Nostalgic for the 8-track? There's a filter for that. Want to experience Carnegie Hall without going to New York? Or is Tiesto more your style? There are 15 different filters. Some of the distinctions aren't as clear, but the idea of being able to put a filter on hearing like Instagram allows for pictures is exciting. The one thing Here buds won't do is replace your headphones. They don't play sounds from your phone's music library. Kraft says the goal right now isn't to concentrate on recorded music, but the sounds from the world around. Live music is a jumping off point, but the company has huge ambitions. "If Microsoft put a computer on every desk and Apple put one in every pocket, we want to put a computer in every ear," Kraft says. The project launched on Kickstarter last year, where it raised over $635,000. Since then, it's generated quite a bit of positive buzz -- including a partnership with the music festival Coachella. But the audio revolution comes at a price. 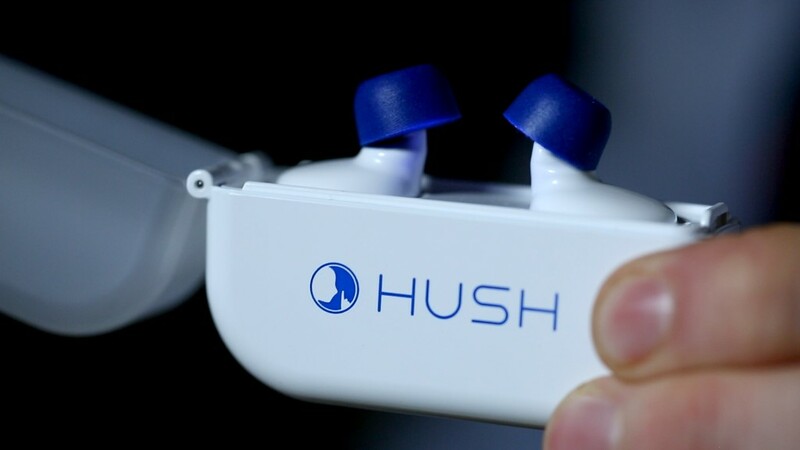 Here Active Listening buds, which are scheduled to hit retail stores later this year, are expected to price between $200 and $300. That's expensive compared to Beats and may not appeal to those beyond live music fans. But it is a small price to pay if Doppler can broaden out beyond music and deliver on some of its bionic possibilities.